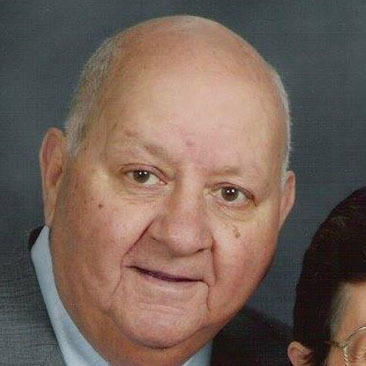 Robert Eugene Wyant Sr., 87, of Peoria, IL passed away at home on Thursday November 8, 2018 surrounded by his family. He was born in Benton IL on November 1, 1931 to Carl Luther & Jessie Mae (Rohn) Wyant. He was preceded in death by his parents, one son Robert Eugene Wyant Jr., three brothers - Denny, Bill, and Lonnie Carroll as well as three grandchildren. He is survived by his wife of 51 years, Sonja Yvonne (Payton) Wyant, 4 daughters, Rhonda Carr, Denise Winters both of Tremont, Deborah (Mark) Peterson and Charlene (Greg) Jansen both of Pekin and a stepdaughter Toni (Douglas "Tex") Markwalder of Chillicothe. Also surviving are 9 grandchildren, 22 great-grandchildren and 9 great-great-grandchildren. He retired after 21 years of service as the maintenance director at the YWCA in Peoria where he was lovingly referred to as "Mr. Bob". His hobbies were raising rabbits and tropical fish. He enjoyed the outdoors, gardening, doing yard work and relaxing under a shade tree where friends would often visit with him. At his request, cremation rites will be accorded with inurnment at Luthern Cemetery in Peoria at a later date. To share a memory or send a condolence for his family, visit www.peoriafuneral.com.